Stephen is an ordained Elim Minister and has some wider responsibilities in the Elim Church regionally. His passion is supporting people in change and promoting hope by connecting lives, families, organisations and support groups. Faith is his driver. Jim is an ordained Elim Minister & has obtained several professional qualifications. He’s on the national leadership team for Limitless Elim and fulfils several responsibilities across Connect Centre. He enjoys crossfit and boxing and is enthusiastic about communicating the authentic hope and full life found through faith. Suzanne is married to Rob the farmer, and they have five wonderful kids; together they are also house parents for the Dairy House! She loves people and is passionate about seeing them find freedom; she also enjoys everything creative. Having traveled extensively in Britain and abroad, Rachel has worked in festival production and also has experience working with Gypsies and Travellers. She is passionate about helping the most isolated and complex needs of people. Anita has over fifteen years experience in administration and finance, working in a variety of local businesses. After a career break to have a family, Anita is now part of the team administrating Connect Elim’s finances. Gill is an experienced Catering Manager running the kitchens for Downside School, Sutcliffe Catering and Mendip YMCA. Gill is passionate about delivering ‘platinum’ standard hospitality. Tony, a Chartered Insurance Practitioner, founded and ran his own business for many years and is an active advocate for a number of community projects. Tony is a member of the Leadership Team, with responsibility for finance. Following many years running an insurance broking business with her husband, Yvonne now works on the Finance Team. Jo is a psychotherapeutic counsellor, a specialist drug and alcohol worker and a Registered Member of the BACP. She provides leadership and direction to the Connect Counselling team and is responsible for the client assessment and referral framework, the provision and quality of counselling services and the adherence by all members of the counselling team to the BACP Ethical framework. Judy has moved to Wells with her husband Jason to support Connect Youth. Judy is very passionate about the discipleship of Young People and has experience in working in Churches across the country delivering Youthwork and also in Schools. Judy can often be found goofing around on Friday evenings at Connect Youth and supporting graphic design projects within Connect. Tina has been married to Hubby Hubball for 27 years and has 2 fantastic children. She also has the most spoilt dog in the world, Danny. Before working for Elim she worked in the addictions field with young men in HMP Ashfield, as both an officer and drugs worker. 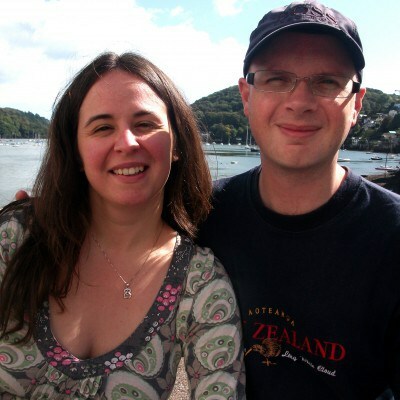 James and Esther Aldridge are Connect Church members living in Street and have joined our Leadership group to support Families and Connect Life Groups. James and Esther are very passionate about The Alpha Course and about holistic spiritual development within the family. Paul joined the team at connect in 2016 having lived abroad for many years but being very much a Somerset local. He is well experienced in field of work and a great addition to the team at Connect. Abi's husband is Peter and they have 2 daughters. They live in Shepton Mallet and you may see Abi playing skittles across Somerset in one of the local teams. Abi started a local community roller skating initiative. She works at Connect as the Step Down Accommodation manager. Yasmin Akpinar Outreach and Youth Apprentice. Yasmin joined the team at Connect in July 2018. She is enthusiastic, approachable and willing to learn as much as possible during her apprenticeship. Malcolm is married to Chris and they have a son Jonathan. Malcolm is an engineer with 40 years experience in the electronics and software industries. Now Malcolm has retired he helps at Connect with IT, AV and the website. Chloe Tyghe Digital Inclusion Worker & Dairy House Support Worker. Chloe is a talented musician, singer and is without doubt our most creative team member. She is both the digital inclusion worker and a support worker at the Dairy House. Kate joined the team in 2018 and is well experienced in her field of work. She is considered, a good listener and able to offer help and support to many who are vulnerable.